James Obst is an Australian professional poker player who has been competing on the live circuit since 2009. He began with tournaments in his home country before testing himself in the highest quality field at EPT London later that year. He has since gone on to impress at the WSOP, but is yet to win a bracelet. He plays online under the name “Andy McLEOD”. Having started his career in the online world, James Obst quickly rose through the ranks and began participating in large buy in tournaments. His exploits in the Spring Championship of Online Poker (SCOOP) series are particularly noteworthy, as he holds four SCOOP titles in total. His skill in poker is so impressive that he is successful both online and offline. Just 2 years into his live circuit tour, Obst had a major victory and his first significant cash earning at the 2010 Asia Pacific Poker Tour High Roller Event in Melbourne, Australia where he won first place for USD$148,300. Since then, Obst had been going deep into the tournaments that he joined making 6-figure cash-outs. In 2011, he placed 5th at the Aussie Millions AUD$100,000 No Limit Holdem event taking home USD$197,804. In 2014, at the 45th World Series of Poker (WSOP), he placed 10th at the USD$50,000 Poker Players Championship Event and 3rd at the USD$10,000 7-Card Stud Event, winning USD$115,447 and USD$103,895 respectively. In 2017 at the 48th WSOP Championship, Obst started the festival phenomenally. He finished at 2nd place at the $ 2,500 Limit Mixed Triple Draw Lowball taking home USD$80,922 in the process. A few days later, he took down the $ 10,000 Razz Championship winning USD$265,138 and his very first WSOP Bracelet. .
Obst has outshone many despite his health issues with mercury toxicity. 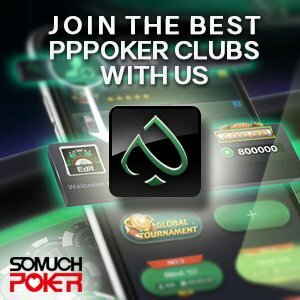 Although he has yet to earn himself a bracelet, he definitely is a poker celebrity online and offline and he has absolutely earned the respect of his peers in the industry.